One of the David and Lucile Packard Foundation’s long-term goals is to restore the health and productivity of the world ocean, on which all life depends. 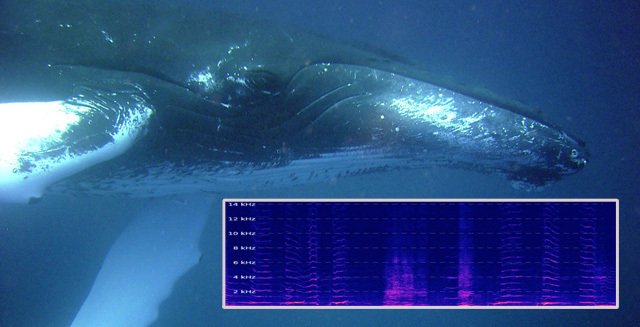 MBARI research results have contributed to raising public awareness about the health and future of the ocean. To exemplify the urgent need for ocean conservation Chris Scholin, president and chief executive officer of the Monterey Bay Aquarium Research Institute and Juile Packard, executive director of the Monterey Bay Aquarium, wrote an opinion article that was published in the New York Times. 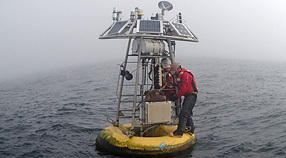 April 23, 2019 – Elevated concentrations of carbon dioxide in air flowing out to sea from Silicon Valley and the Salinas Valley could increase the amount of carbon dioxide dissolving in Monterey Bay waters by about 20 percent. July 16, 2018 – A team of MBARI scientists is monitoring abalones under carefully controlled environmental conditions for two months to learn more about how these animals will fare in future ocean conditions. May 17-19, 2018 – During a recent research cruise MBARI's Marine Microbial Ecology Group and their colleagues retrieved experiments from the seafloor to learn about carbon cycling in the deep sea. 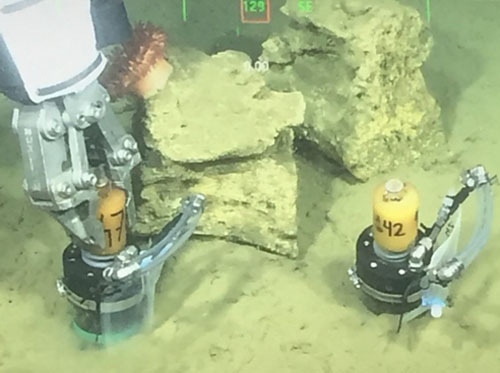 MBARI's Pelagic-Benthic Coupling Group, led by Chief Scientist Ken Smith, return to their study site at Station M, located 200 kilometers off the coast of Santa Barbara, California, to understand how the supply of carbon affects deep-sea communities on the seafloor. 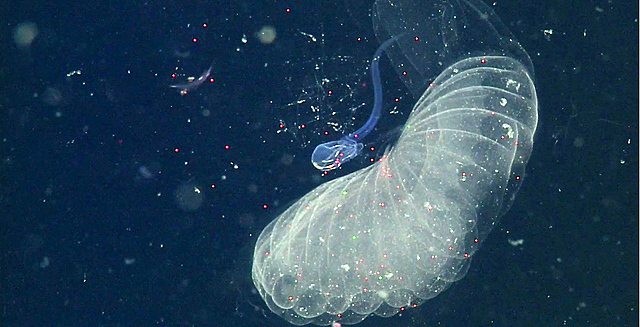 Aug 16, 2017 – A new paper by MBARI researchers shows that filter-feeding animals called giant larvaceans can collect and consume microplastic particles, potentially carrying microplastics to the deep seafloor. For seven days, the Marine Microbial Ecology Group will participate in the Deep-Sea Eukaryotic Life Expedition aboard the R/V Western Flyer. Chief Scientist Francisco Chavez is leading a group of researchers during a six-day expedition in Monterey Bay aboard the R/V Western Flyer. 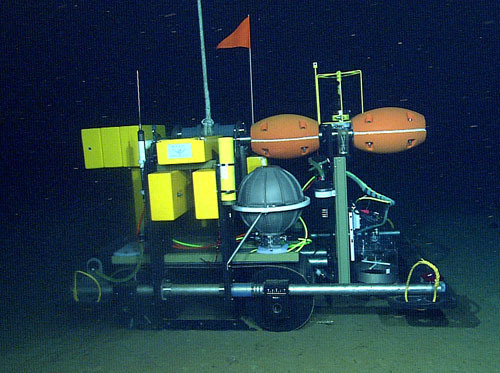 Apr 5, 2017 - MBARI’s M1 mooring is an important data collection station that floats above the seafloor in Monterey Bay continuously taking a variety of measurements to give researchers a clear picture of oceanographic conditions. 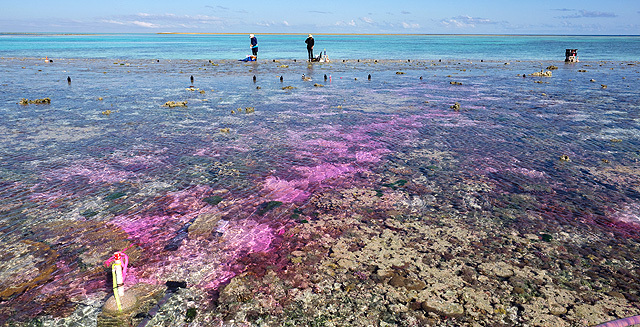 One of the David and Lucile Packard Foundation’s long-term goals it to restore the health and productivity of the world ocean, on which all live depends. MBARI research results have contributed to raising public awareness about the health and future of the ocean. Exploration inevitably leads to discovery. MBARI is uniquely positioned to explore the deep-sea realm and its connections with the ocean surface. Easy access to Monterey Bay’s deep submarine canyon provides a natural laboratory for scientific research and engineering innovation. Climate-driven changes in upwelling, ocean mixing, oxygen minimum zones, and nutrient cycling are likely to affect the year-to-year variation in ocean ecosystem processes. These changes will potentially impact marine life and the fundamental underpinnings of fisheries from shallow to deep-sea habitats.